DoubleTree by Hilton is a hotel chain based mainly in America. Most of its branches are franchises and managed by different people. It proudly offers its various amenities in spacious facilities to its customers worldwide. The people in Scottsdale, Arizona became the first witnesses of the opening of DoubleTree in 1969. It is currently owned and managed by its parent company, Hilton Worldwide. With its 466 branches in over 70 territories, the hotel chain conducts employee trainings in a global perspective for them to be accustomed to serving customers of different cultures. The hotel chain provides employees with a generous benefit package including medical insurance, retirement plans, paid time off, tuition assistance, and employee discounts. To cater to its employees’ needs for development, the hotel created the Global CARE Community website. Aside from being a place to share their ideas, resources and training modules are also provided in the site. How old do you have to be to work at DoubleTree? 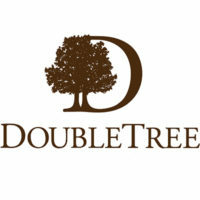 Job applicants are expected to be 18 years old or above for them to get the chance to work at DoubleTree Hotel. Public Area Attendant: This person maintains the cleanliness of the public areas of the hotel. The public area attendant also responds to the customers’ requests. Housekeeping Supervisor: This person is in charge of supervising the room attendants and house persons to serve the customers properly. The housekeeping supervisor is responsible for training them. Food and Beverage Cashier: This person’s main job is totalling and processing the customer’s food and beverage orders. The cashier is expected to have good communication skills. Security Officer: This person is responsible for keeping the customers and employees of the hotel safe. The security officer ensures that no theft or violence occurs in the establishment. The hotel chain offers applicants with other job positions such as director of operations, full-time overnight front desk agent, banquet bartender, assistant manager, sales manager, and full-time house person. The applicant must visit Hilton Worldwide’s website to apply in the hotel. An account is necessary to proceed with the application. Required fields are marked with an asterisk, and you need to fill them up. The company makes use of online application for an easier and well-organized application process for all of its branches. An applicant can also visit any hotel branch near him/her for a personal application. Applicants are expected to answer a few questions for assessment. It is necessary to prepare in answering situational questions related to serving customers and personal behaviour. Resumes can make or break the chances of the applicant to be accepted for the job. He/she should proofread it to avoid grammatical or typographical errors. It should be organized starting with the most important points. The interview will most probably include situational questions. The applicant must clearly state if he/she agrees or disagrees with what was asked. Answers must be specific and reasons must be stated. The hotel chain is an active participant in programs focusing on environmental protection. With the company’s name, it has given emphasis on the preservation of trees. A program called Think Trees: Teaching Kids to Care raises awareness to the younger generation to help the environment. Around five million schools participated in this advocacy. For ten years, over 300000 trees were already planted by students who participated in the program. Donations of more or less $250000 were raised for the victims of natural calamities. The company upholds its culture of creating a rewarding experience not only through providing its services, but also by giving back to the community.